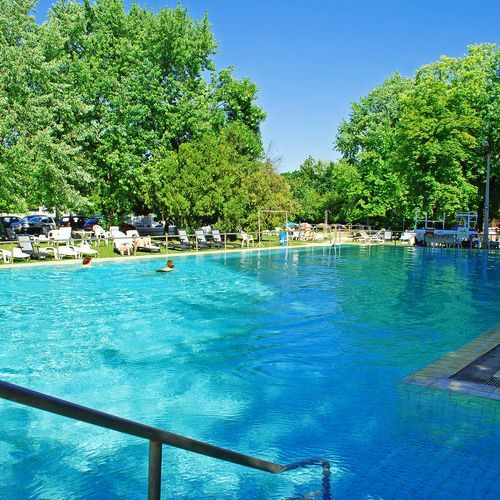 Hoforras Hotel is located in the resort district only 500 meters away from the city's thermal pools. Hot thermal springs at a temperature of 73 ° C stand out from a depth of 1,100 meters. The water is very rich in mineral salts, iodine, bromine, and successfully treat among other things, chronic diseases of the locomotor system. Bathing and inhalation treatment has a beneficial effect on the majority of skin diseases, digestive system and gynecological problems. The hotel has 89 double rooms with en-suite to the majority of them it is possible to add an extra bed. Almost every room has its own terrace and each room is equipped with a satellite TV, a color TV set, a minibar and a telephone. Hoforras restaurant awaits its guests with excellent cuisine, both Hungarian and international. In the hotel lobby there is a drink bar with wide range of drinks. There is a specialist doctor's office where patients and guests are threated from an rheumatic ailments. You can use a medical massage, refreshing massage, therapeutic gymnastics, water gymnastics, tangentor, mud wraps, electrotherapy. The hotel building is open all year round with thermal pool, jacuzzi pool, sauna, solarium. 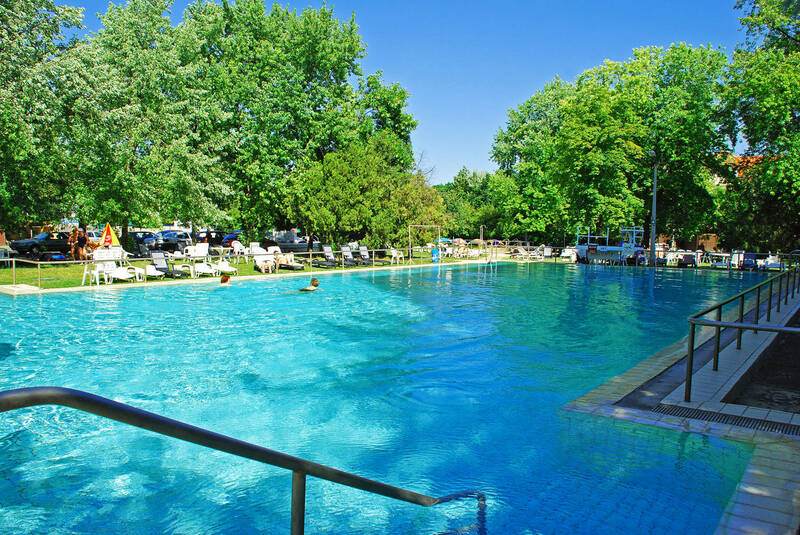 From 1st of May till 30th of September in the garden of the hotel operates open air pool, thermal baths and swimming pool for children. Near by the hotel there is a playground to play football and tennis courts. The rating of Hotel Hőforrás Hajdúszoboszló is 8.7 from the maximum 10, 822 based on actual and valid guest ratings and reviews. "Köszönöm a személyzet gyors, kedves fogadását.tökéletes hely. finom ételek,kedves kiszolgálás, Tisztaság mindenhol. Teljesen a vendégekért van az egész szálloda. Nagyon kellemes két napot töltöttünk el.Mi már voltunk itt máskor. Továbbra is menni fogunk." "Férjemmel és 6 éves unokámmal mentünk, unokám megkívánta a hamburgert, de az üdülőövezetben nem készítettek., mi pedig nem autóval voltunk. A recepciós hölgy látta tanácstalanságomat, hogy honnét szerezhetnék hamburgert, rögtön keresett egy kiszállítós éttermet, és egy órán belül ott volt a hamburger, melyet ezúton is köszönök."